UPDATE: Roombacat Racing - Appearing in 2014! UPDATE: FIA approves Roombacat Racing. First season set to kickoff in 2014. Earlier today Jason Torchinsky shared a great infograph of various racing cars, their speed, power and costs. INFOGRAPHIC: How Do The World&apos;s Race Cars Compare With Each Other? One important *vehicle was missing from that image - The Roombacat! 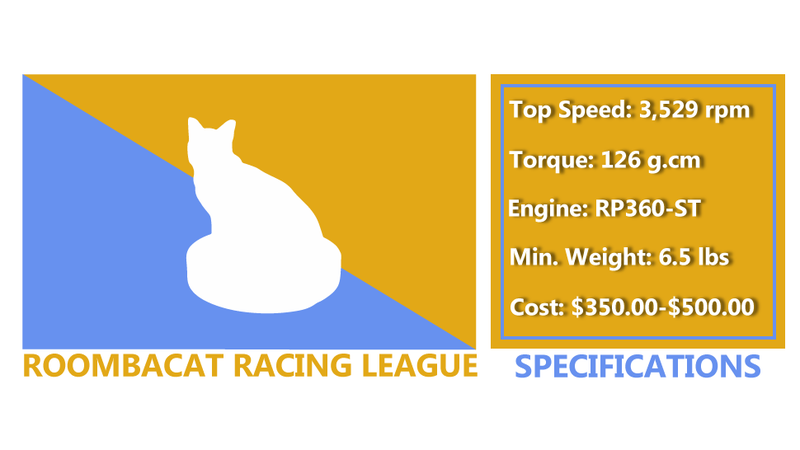 * The Roombacat Racing League is currently pending FIA approval.